Hmm… I wonder where he gets this number. I checked Wikipedia, and the Malay language is no where near the top 10 languages! 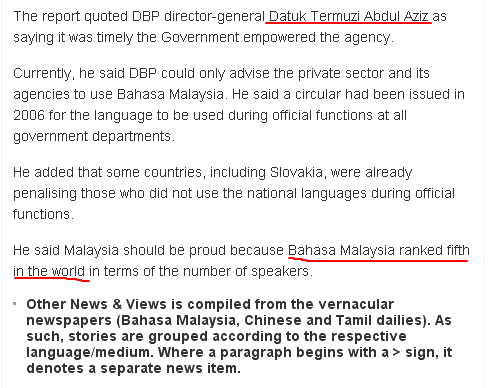 This entry was posted in News Comment and tagged bahasa malaysia, malay, malaysia on October 20, 2009 by Khim Hoe.